In Las Vegas, the highest temperature recorded was 117 degrees, and that kind of extreme temperature is the last thing anyone would want to experience. 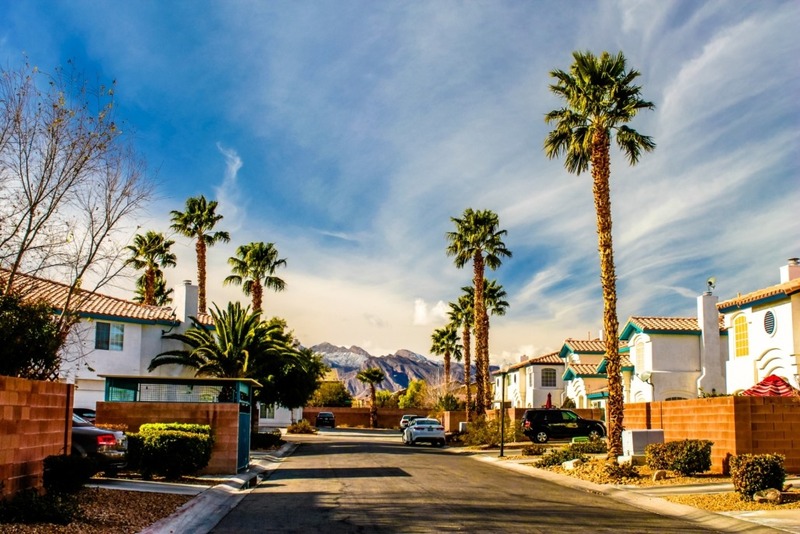 While residents are accustomed to having three-digit temperatures, having efficient Las Vegas air conditioning systems is what they want to battle the heat wave and maintain home comfort. Just like them, you should be able to plan ahead and figure out when it is the time to replace your AC and heating system. Keep reading the following for telltale signs you must know. If you’re noticing that your AC costs are increasing, then you might consider a system replacement. For one, the problem can be your furnace or heating system is working too hard to keep comfort levels in your home. And even if your home is improperly cooled, your AC system might be increasing your energy consumption and utility bills. And if your cooling and heating system is increasing even if your energy consumption remains the same, your system might have been working inefficiently, a telltale sign for replacement. The problem can be that its internal components might be worn out after years of constant use. it is the same thing when major parts, including the unit’s condenser, condenser coils or air compressor, break down more often. Remember that just like other home appliances, the cooling and heating system will no longer be viable when it lives out its life cycle. So if you’re noticing you’re seeing your HVAC technician frequently, you might want to consider replacing your old system with a new one, which cost less in the end. Do the math and discover how many expensive repairs you need for your old unit. Efficiency levels or SEER ratings of Las Vegas heating systems are better on newer models versus older units even if the latter is still running. Just to give you a quick glimpse into this matter, older units with 10 SEER rating may still run well but consuming more energy versus a 25 SEER rating newer models. If you want to lower your electricity bill, then you might want to look into upgrading to a newer air conditioning system. Freon, another term for R-22, is a common refrigerant on AC systems for many years. However, it might be a potential environmental risk, as the EPA deemed it and as a part of the Clean Air Act in 2010. HCFC contains chlorine that can deplete the ozone when it accidentally leaked into the air. So over the last years, AC units with R-22 have been phased out. Without even saying, R-22 is damaging to the environment and is nearing its phased-out year. It will also be costlier to recharge these systems – three times as much as the safer refrigerant R-410A – because its supply also diminishes. Consider replacing your unit if it’s relying on the refrigerant with a newer model running on the environment-friendly R-410A. It is safer to use because it contains no chlorine. One issue though is that it’s not compatible with systems running on R-22, so you should think about upgrading to a new unit to save not only cash but also the environment. When an AC system lives out its life cycle, it may start running inefficiently and will need frequent repairs. If you always have to call in for Las Vegas AC repair, then you might think about replacing your unit, which might not be worth it to repair anymore. And if your system is older than five years old, its components might not also be covered by a warranty anymore. Pouring in money into frequent repairs is impractical and money wasting. When your old unit is frequently breaking down and needing increasingly expensive repairs, your better option can be upgrading to a new system. You may want to call an HVAC professional for advice as to whether it is better to replace or repair your AC. For example, if your unit’s issues are beyond fixing, the pro will recommend air conditioning replacement, or repair if issues can still be addressed. Do you have the same air conditioning system for more than 10 years? A decade-old AC is outdated in both energy efficiency and technology. When your system is around its decade mark, it might have been starting to break down more often than before. In this case, you might have to spend on frequent repairs, so upgrading to a new AC system might be the better solution for you. By planning ahead, you can also start saving up for a newer and energy-efficient unit that can now last between 15 and 20 years. Think along these lines. Your old system might need replacement when it starts showing these top five signs, including a unit older than 10 years, frequent and increasingly expensive repair costs, AC and heating system not as efficient as newer models, operation cost increasing and AC running on R-22 refrigerant. For advice and recommendation, contact your trusted Las Vegas HVAC contractors that can help you decide on what AC unit to install in your home today!